For the vast majority of landlords, their tenancies end amicably or not so amicably upon the expiry of a tenant’s notice or a landlord’s section 21 notice. In a minority of cases, and normally where the tenant is in breach of the tenancy agreement, a landlord may elect to serve a notice under section 8 of the Housing Act 1988 citing at least one of 21 relevant grounds. Of these 10 are mandatory grounds (including 7A & 7B) and the remainder, which are more relevant to this article, are discretionary grounds. Once a section 8 notice expires the landlord may request a court hearing and, unlike the accelerated possession proceedings, a hearing will always be required. Where a discretionary ground or grounds are being relied upon the Judge may or may not award possession but one of the options is that the judge issues a suspended possession order. The conditions will be set out in the court order and will allow the tenant to stay in the property as long as they stick to the conditions. This may be that they refrain from keeping pets or smoking in the property or indeed make the rental payment and a fixed amount off any accrued arrears. Have you been served a suspended possession order? What can you do? The effect of a breach of a suspended possession order. 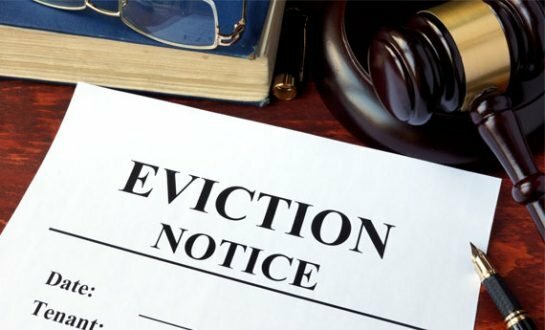 An issue came to light back in the case of Bristol City Council v Hassan where a tenant breached a suspended possession order and the court held this meant they had legally lost their tenancy even if the landlord did not enforce the judgement and left the tenant in occupation. This situation is referred to as a “Tolerated Trespasser”. Significantly the normal landlord tenant relationship has ended and in Mr Hassan’s case, he had lost his right to buy the council house. Under a second case, Knowsley Housing Trust v White the Court of Appeal had to decide when a tenancy ended. One of the questions that they had to address was around where the possession order was made under the Housing Act 1988 when does the tenancy end? Mrs White was a secure tenant of the housing trust who fell into arrears. A suspended possession order was made requiring Mrs White to pay the current rent and an amount off the arrears. Mrs White breached the terms of the court order but also sought to exercise her Right to Buy. The housing trust informed her that her Right to Buy ended when she breached the suspended possession order and became a ‘Tolerated Trespasser’ in the eyes of the trust. Mrs White appealed to the Court of Appeal seeking a declaration that she was still an assured tenant. The court dismissed the claim. The House of Lords allowed an appeal and concluded that ‘the 1988 Act leads to the conclusion that an assured tenancy, subject to a possession order does not end until possession is delivered up — i.e. the position of an assured tenant under the 1988 Act is, in this connection, the same as that of a regulated tenant under the 1977 Act’. The Housing Act 1988 has since been amended by the Housing and Regeneration Act 2008 and section 5 (1) has been amended and subsection (1A) inserted to clarify that the suspended possession order suspends the date of enforcement and that the tenancy does not end until the order is executed. The grounds available under section 8 each have a notice period varying between 14 days and 2 months although, ground 14, which relates to anti-social behaviour, is usually 14 days but may have no notice period. Where more than one ground is being relied upon it is necessary to consider the interaction between the grounds and their relevant notice periods. In the main, it is necessary to allow for the longest of the notice periods. The notice remains valid for a period of 12 months from the date of service. Once the notice period has expired the landlord may then apply to the court for a hearing at which the judge may grant a possession order. This may result in an outright order or a suspended order and or a money judgement. The Judge may alternatively either adjourn or dismiss the case. A suspended possession order will include the details of the conditions to which the tenant must adhere to in order to remain in the property. Typically these may include paying the rent and any arrears or desist from other breaches of the tenancy. A failure to keep to the terms of the order allows the landlord to return to the court and apply for a date for the enforcement of the order. At this point, the tenant will be given a date by which they must leave and a failure to leave will allow the landlord to further ask the court for a warrant of possession using the N325 form. If granted the court will arrange for the bailiff to evict the tenant. The Civil Procedure Rules 1998 make up the procedural code whose aim is to enable the courts to deal with cases justly. The rules are updated regularly, the most recent being the 100th version on 1st October 2018. This most recent update has important implications for landlords who have relied upon either ground 10 (that some rent is lawfully due) or ground 11 (that the tenant is persistently late in paying the rent). “(other than where non-compliance with the terms of suspension of enforcement of the judgment or order is the failure to pay money)”. This means that a judgement for rent arrears, suspended on the basis of payment of the rent, or arrears, or both, no longer requires a court hearing if the tenant breaches the condition of the suspension, i.e. fails to pay the amount of the rent and arrears stated in the judgement. The landlord simply returns to court to request the bailiff based upon the clearly demonstrable evidence. If, however, the suspension is based on anti-social behaviour or any reason other than rent, the landlord will not be able to apply for a bailiff without first applying for a court hearing. The logic is that the rent arrears can be evidenced from paperwork but anti-social behaviours is a more subjective judgement. If the tenant complies with the order to pay money then the rent is being paid and the arrears are reducing, however, the tenant faces a real risk of eviction at a much quicker rate than prior to the amendment for a failure to pay money. If a landlord is confident that a tenant is unlikely to comply with the conditions of the order to pay money the section 8 route may now the quickest way to obtaining possession. How Long Does A Suspended Possession Order Last? Theoretically, there is no time limit on such an order. So long as the tenant adheres to the specific criteria set out by the court in the initial ruling. Then there’s no official time limit on the suspension order. Landlords may ask the court to reconsider the ruling if they feel that the tenants circumstances have changed or if they feel that arrears are taking too long to be repaid. One of the biggest worries facing Landlords is tenants failing to pay rent at the agreed time. This can lead to possession and suspended possessions and can take up massive amounts of time and resources. At Lettingaproperty.com we can simply take away this risk with our Guaranteed Rent and Rent on Time Packages. There’s no need to worry about rent being paid because we pay it for you! On time every single month. With nearly 10% of tenants in rent arrears, make sure you don’t get caught out. Does your property qualify for our rental guarantee? « Energy Performance Certificates 10 years on. I feel it is totally unfair, that a Landlord can use this Law to thier advantage during my 20 yr Tennancy with a Social Landlord if my rent was paid late once I recieved a Possesion Order through my door without verbal, warning or written warning! My Landlord stayed I was in arrears on several occasions and served Possesion Orders upon me I enquiries where the arrears had accumulated as there had been no change in my cirrcumstances? I worked and obviously had all calculations done and run on of Housing Benefit when starting work also with Child Tax Credit/Working Tax Credit so my rent would have been fully covered and paid along with my Council Tax! This did, nt happen 6-8 weeks into my Employment I arrived home to find a Possesion Order through my door?? I checked my Bank they stated the Landlord had not drawn upon the D/D? I checked back and the payments had left my account?? I was still taken to Court NO Evidence shown in the Court? I was not asked to produce statement?? but instead accused of persistent non payment of rent?? Cheek of it? When I appealed or went back to the Landlords , I was informed my rent was paid into a “Holding Account” to which I enquirer “why” as I have my own Tennancy number, where had this rent been paid to (another Tennant) as I had experienced many mis-posting or mis directed payments on my statement?? I always insisted that the rent be paid directly to the Landlord, so this would be Housing Benefit or, and my rent payments! Obviously it was in black &white that it had left my account I recieved no compensation for this no sensible explanation from Landlords? Thier calculation was entirely different to mine and what had actually occurred! So I could not win, my Bank would not take responsibility for any mistake?? This just shows how ruthless and how they can work it to gain from innocent people!! They were not registered not Regulated?? ?